This unique hand-held hummingbird feeder gives you the ultimate experience with these tiny treasures. 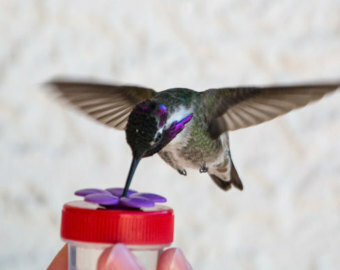 A bit of patience will have hummingbirds closer than ever imagined and feeding right from your hand! Nectar Dots will help train birds, making them familiar with these fun feeders. 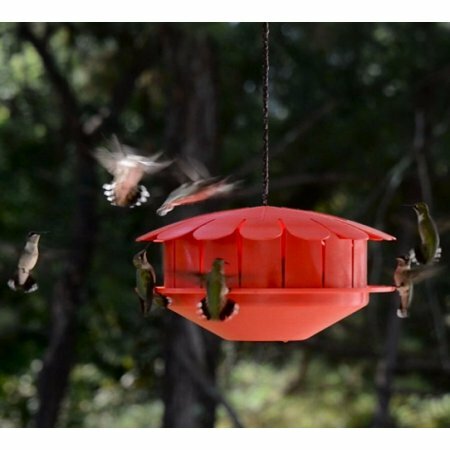 Place them near existing feeders and hummingbirds will soon begin using them. After a few days stand near the same place and hold the feeder with an outstretched hand while remaining as still as possible, and you'll be hand feeding your hummingbirds in no time at all! Colors vary - let us choose for you, or buy multiples and we'll send you different colors. Each feeder comes with an instruction card.